The Dremel rotary tool review series has made it clear to me that the average consumer has no chance of picking out the right Dremel for his or her project. Most are going to end up with a tool that does not fit the work they want to do. To make things worse, there some real clunkers to avoid. Simply buying the most expensive tool is not going to make you happy. Let's take a look at the different Dremel rotary tools and discuss what they are best used for. Dremel tools handle differently as they get larger and heavier. Buying the most powerful is not a good strategy. The Dremel 100 is very much an entry level rotary tool. It has a small motor and only one gear. 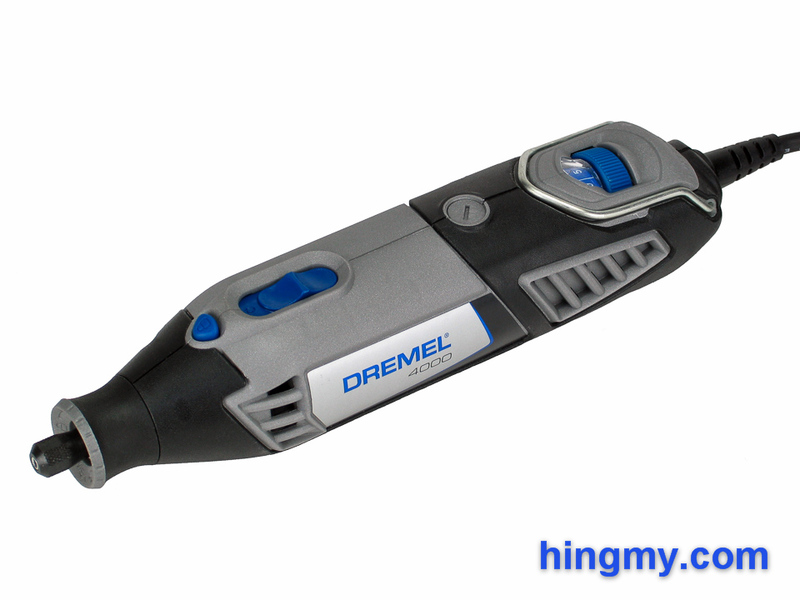 If you are looking for a tool that can do it all, the Dremel 100 will disappoint you. On the other hand, if you are looking for a cheap tool for small, but not super-fine engraving work, the Dremel 100 might just be your best option. Its small size makes it handle better than all other Dremels short of the Fortiflex. 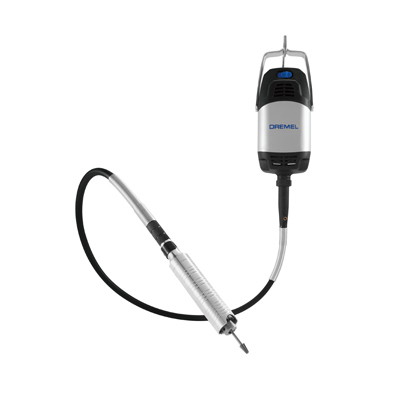 Ultimately the Dremel 100 is the best option for anyone starting out. It is a useful tool and a fair value. Even if you choose to upgrade later, the poor handling of the larger models means there will still be room for the Dremel 100 at your crafting station. The Dremel 200 is the clunker in the Dremel lineup. It is a Dremel 100 with an additional gear that you can't really use for anything. At your crafting station it will perform nearly identical to the much cheaper Dremel 100. Smart consumers ignore this product, which primarily exists as an up-sell from the Dremel 100, and either go with the entirely adequate Dremel 100, or one of the larger models. Simply don't buy the Dremel 200. The presence of the Black&Decker RTX in a review of Dremel tools is not an error. The RTX has earned its place in this lineup by being a better version of the Dremel 100/200. It still produces little torque at low rpm, but the problem is less pronounced. In addition you get better variable speed controls, a better grip, and the ability to mount all Dremel accessories. In many respects the RTX is the best entry level rotary tool you can buy. The Dremel 3000 marks the point in the lineup where the tool becomes a poor choice for engraving, and performs better when carving and cutting. The larger motor of the Dremel 3000 produces more power, but it is also much heavier and larger. The variable speed control works properly this time, which makes the Dremel 3000 perform well as an all-rounder. At medium speed the tool is good at engraving. At top speed it has the power to be a good carving tool. 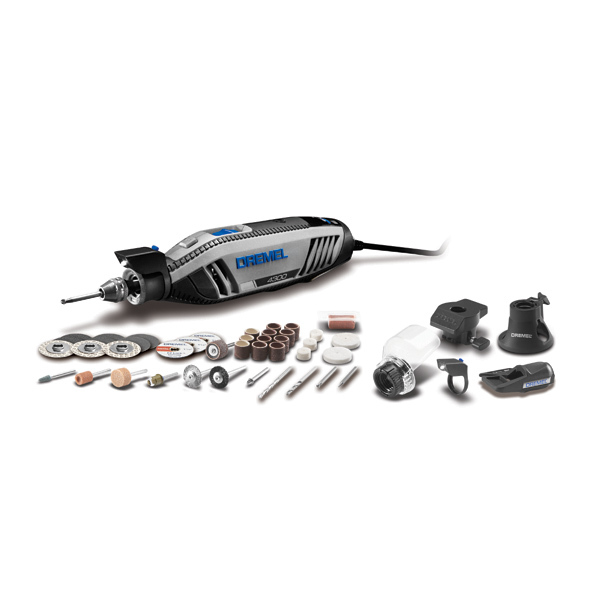 The Dremel 3000 is your best choice, if you are looking for a do-it-all rotary tool. 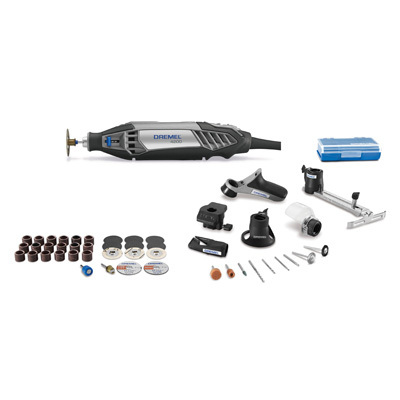 It will adapt to your work well enough, but the smaller and larger tools outperform Dremel 3000 in their respective specialties. The Dremel 4000 is larger and more powerful still. This time around, however, the design has passed beyond the point of what can be called usable in pen-style operation. The Dremel 4000 is a cutting tool by nature, and a good one at that. Don't expect it to handle like the smaller Dremels do. If the description of what you want to do includes the slightest amount finesse, you have moved too far up the product lineup. The Dremel 4000 is a good option for rough work. It outperforms all other Dremels as a carving and cutting tool. In some cases it can even be used for light construction work, like removing the grout between tiles. 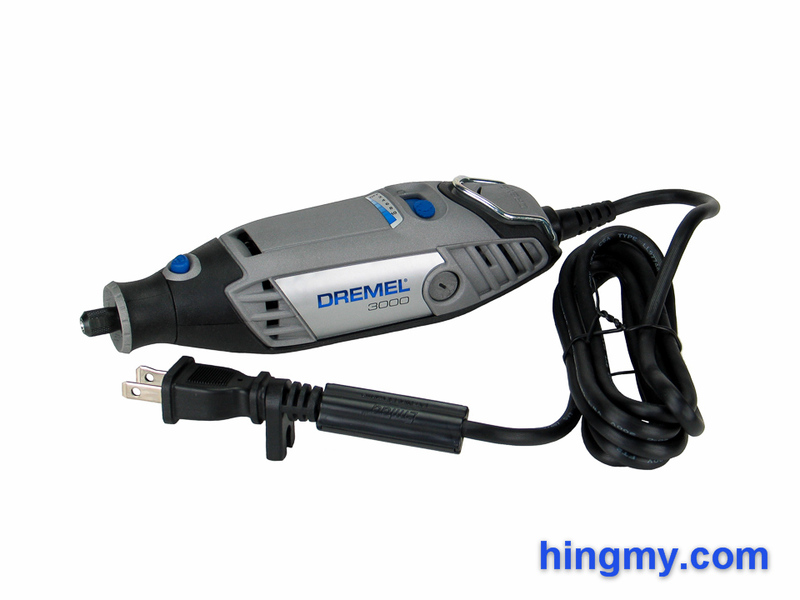 The Dremel 4200 is a variant of the Dremel 4000. The only difference between the two models is that the Dremel 4200 is equipped with a toolless chuck. A lever on the nose of the tool opens and closes the chuck without having to use a wrench. Dremel demands a price premium for this convenience. The Dremel 4300 is a 2017 refresh of the 4000 series. It is a little smaller, yet more powerful than its predecessors. The tool-less chuck is now a three-jaw chuck, and there is a LED work light. It is, without a doubt, the best entry in the 4000 series to date. It is easier to use when engraving, and works faster when grinding or carving. Yet improvements are still incremental. The choice whether to go with the 4300 or the other 4000 series models comes down to price. Flex shaft tools are the best tools for engraving. Separating the motor from the pen allows the design of each to be optimized. The motor can be heavy to produce the power needed for a good carving experience at any speed. The pen can be small and agile to allow the artist to produce the best work he or she is capable of. The Dremel 9100 is the best option for professionals on this list. 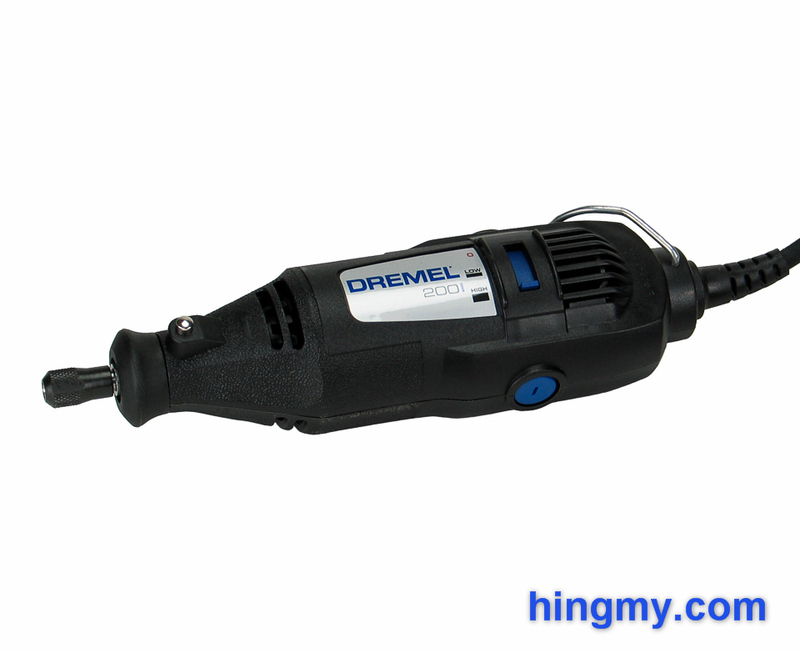 It outperforms all other Dremel tools in terms of power and handling. There is no question that the Dremel 9100 produces superior results compared to the other tools. Unfortunately you'll have to pay for this level of performance. 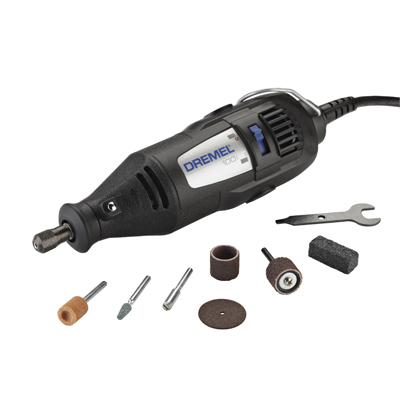 The Dremel lineup is defined by the tradeoff between size and performance. The smaller tools, like the Dremel 100 and 200, feel comfortable when held like a pen for engraving, but produce too little torque to be useful for rough work. The larger Dremel 3000 and 4000 are superior cutting machines, but their bulk makes them cumbersome to use when doing fine work. 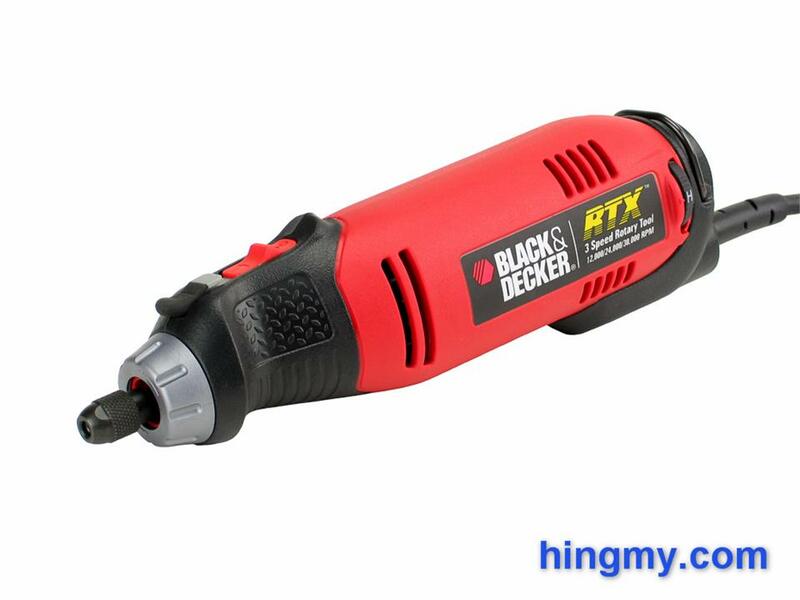 After the dust settles the Black&Decker RTX is your best low-cost choice for hobby work. It'll remain useful even if you later choose to get a larger tool. The Dremel 4000 is the best tool for carving and construction work. If price is not an issue, the Dremel 9100 rules them all.